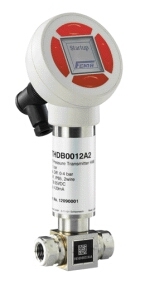 Electronic Differential Pressure Transmitters are microprocessor-controlled pressure measurement devices for a differential pressure range of 0 ... 20 bar. They are suitable for an extremely wide range of applications, including the precision recording and monitoring of system pressure. They come complete with an angled M12X1 plug and are mounted directly to the pipe via two G1/4" internal thread connections.